On November 14 & 15, 2016 the West Virginia Perinatal Partnership held its annual Summit at the Charleston Marriott Town Center. 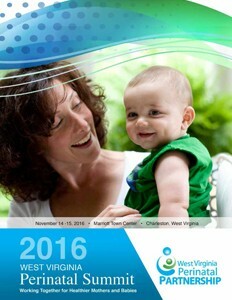 View the 2016 West Virginia Perinatal Summit program and presentations. Revolution Slider Error: Slider with alias 2016-Summit-Images not found.